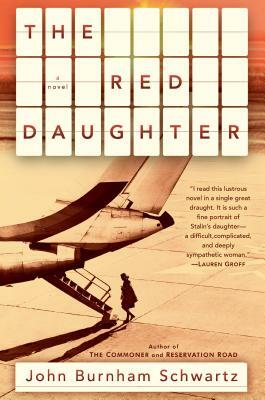 Join us at Book Culture on Columbus as John Burnham Schwartz discusses his new book, The Red Daughter, on Wednesday, May 1st at 7pm! Larissa MacFarquhar will be joining John in discussion. John Burnham Schwartz is the bestselling author of five novels, includingNorthwest Corner, The Commoner, and Reservation Road, which was made into a film based on his screenplay. His books have been translated into twenty languages, and he has done extensive screen and television writing for the major Hollywood studios, including as screenwriter of HBO Films' The Wizard of Lies starring Robert De Niro and Michelle Pfeiffer, for which he was nominated for a 2018 Writers Guild of America Award for Outstanding Writing. Literary Director of the Sun Valley Writers' Conference, he lives in Brooklyn with his wife, writer Aleksandra Crapanzano, and their son Garrick. Larissa MacFarquhar is a staff writer at The New Yorker magazine. Her profile subjects have included Barack Obama, the novelist Hilary Mantel, the poet John Ashbery, the philosopher Derek Parfit, and the internet icon Aaron Swartz, among many others. She lives in Brooklyn, New York. In the spring of 2016 she will be teaching in the creative writing department at Stanford University.